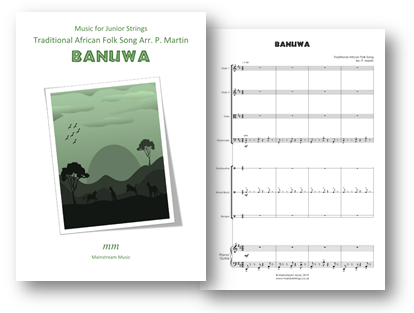 An arrangement for junior strings, percussion and piano of the traditional Liberian folk song 'Banuwa', the melody of which is also used as the basis of the popular carol 'African Noel'. The PDF also contains parts for violin III (doubling that of the viola) and double bass. Click here to listen to a recording of the piece. Click on the image below to view the score's page.